ZTE has unveiled a broadband multimedia trunking solution which offers sufficient capacity for bandwidth-heavy operations including HD video and video conferencing. The trunking solution is based on TD-LTE technology with speeds of 100Mbps down and 50Mbps up. Security for the system is offered by over-the-air encryption, bi-directional access authentication, and VPN. 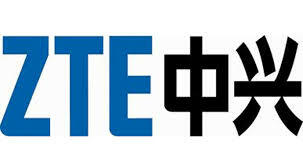 In a press statement ZTE says the trunking solution has been used in the establishment of smart grids and digital oilfield network with a note that it will provide huge beneifts to public safety, transport and the energy sectors. A refreshed version of ZTE’s U-Safety solution was also launched this week. Theproduct is used in public safety management systems in 40 countries worldwide. It performs data analysis collected through Internet of Things for use by emergency response teams and law enforcement organizations.